Posted February, 2019 by admin & filed under Dental Services. How long have you wanted to be a model? Is your smile in the way of your dreams? No one is perfect. However, the image of a model is one of perfection. Thus, investments are made in order to achieve the best look. Those investments come in terms of your physical fitness plan, what you eat, your styling products, and in some cases, Dental Implants in Detroit MI. So, if you are dealing with a missing tooth or teeth, you do not have to any longer. Now is the time to invest in your career. You will gain an incredible smile that you will not be afraid to show to the world. In fact, many people have used cosmetic dentistry and are smiling about it. Those people include hockey players. When it comes to how you feel about yourself, your career and how you greet others, your smile says a lot about you. So, get excited about fixing it today. Make an appointment today. Talk to the dentist about Dental Implants in Detroit MI. Ask him if you can see pictures of before and after results. He will be proud to show his work to you, and he will explain to you in detail what the entire process will be like. Thus, your fears will leave you quickly. There has never been a better time to do something for yourself and your career. Further, call your agent and tell her that you will be making a change for the better. 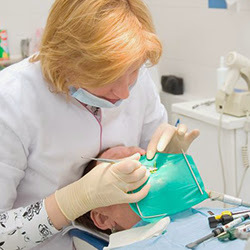 « How Should I Care for My Temporary Dental Crown?